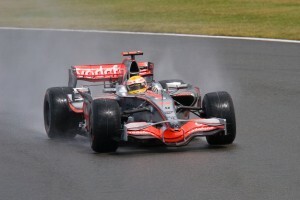 Had a fantastic, if rather damp, day today at Silverstone, watching Lewis Hamilton win the British Grand Prix. 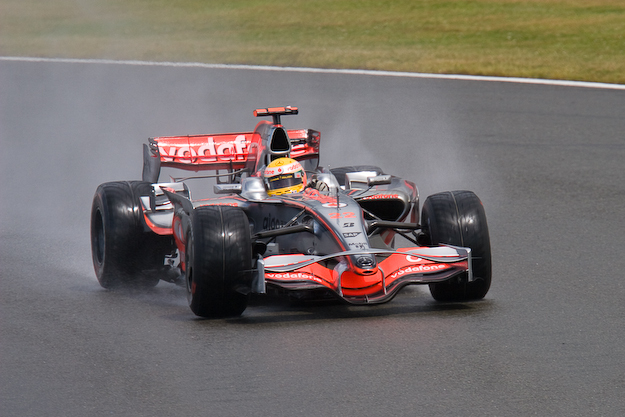 Here’s a shot I took of Lewis leading the race, which he did for pretty much the whole time. The long queues, the mud, the cold and the rain were worth it to see such a historic moment. This entry was posted in Events by Robert Boyle. Bookmark the permalink.